Did you know that the skin is the biggest organ in the human body, skin is delicate and it needs constant care. Winter months are particularly hard on the skin as the cold, dry winter air hits the skin all day making it flaky and dry. 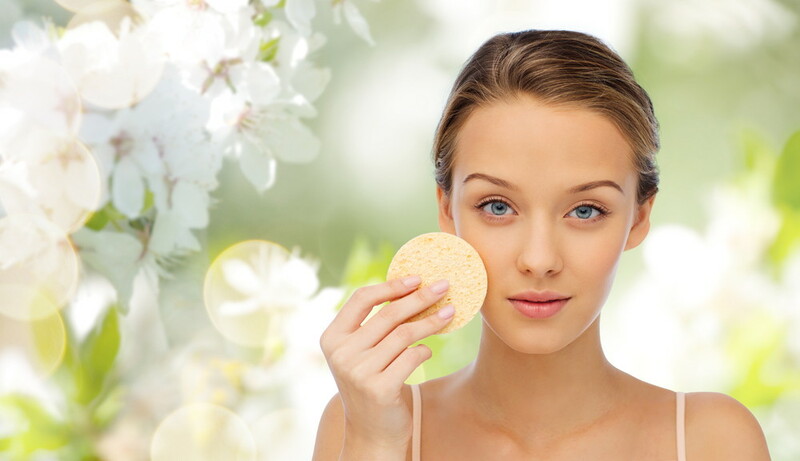 In this blog, we will share our best skincare tips for a flawless ravishing skin! Many of you have different ways to determine your particular skin type. You may assume you have oily, dry, or sensitive skin. But, are you aware of your skin type? Knowing your skin type has several benefits next time you find yourself in the cosmetic aisle looking for the right makeup. 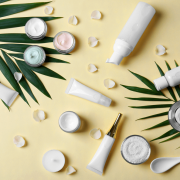 It’s essential to correctly determine your skin type to avoid using the wrong products and beauty treatments because a beauty tip or a product that works wonders for dry skin might have completely different effects ifused by someone with sensitive skin. Start with choosing a high-quality cleanser for your skin that doesn’t dry up and tighten the skin. Clean and wash your face at least twice a day during your skincare routine. For those with dry skin, you don’t have to wash your face twice a day if you don’t wear makeup. Do not use harmful soaps that can reduce the level of your skin’s natural oils. Cleansers like Cetaphil is an excellent option for keeping your skin nourished and clean. Sunscreen is the only thing that protects your skin from the harmful UV rays of the sun during the day in winter and summer. To keep your skin healthy and beautiful use a sunscreen with at least SPF 30, fifteen minutes before stepping out into the sun. Surprisingly, darker skin stones require more sun protection because the hyperpigmentation is much tougher to correct. It’s very important to choose a sunscreen that’s according to your skin type. Moisturizer is an absolutely indispensable part of every skin protection and care routine there is! It’s so important that those with oily skin need it too. If you have a dry skin then use a gel-based and non-comedogenic moisturizer that does not block the skin pores. 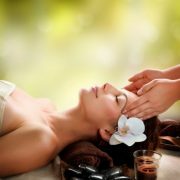 If you looking for a professional beauty treatment in a comfortable spa, then Infinite Beauty is the right place for you. Get in touch with us to get radiant and glowing skin! Beach and pool season has come to an end, but on the bright side, the humidity is going away! Nothing baffles us more than taking our time applying makeup in the morning only to have it melt off by the time you arrive to work. Going into the fall season, your serums, BB creams, and heavy moisturizers are safe to wear from the heat during the summer. Before you begin integrating your beloved sweaters and boots into your fall wardrobe, it is time to shield your complexion from the low temperatures. As the seasons change, a change in your skin care regimen is a must! 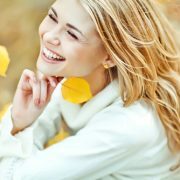 Do you ever wonder why your skin changes during the fall season? It is important to change your regimen as the seasons change because your skin is always exposed to the environment. That means your skin is more susceptible to changes in the environment than other organs in your body. Fall brings on a chillier climate with more frequent winds with temperatures roller coasting from high to low,and back up high. Changing your cleanser is the step that can make a big difference for your skin. The increased amount of sweat and activity you are doing requires using a stronger clarifying cleanser. Fall and winter call for a more mellow cleanser. If the summer cleanser is too harsh on your skin, switch to a more hydrating one. The same rules apply to your toner – reach for something more balancing. Be sure to avoid toners that are alcohol based, the alcohol is very drying to the skin. During the summer we opt for a lightweight moisturizer so it won’t clog pores. During the fall we’re undergoing the process of a transition from warmer days to windy colder days. Less water and blasting the heater takes away that hydration in our skin leaving behind dry, flaky skin that accentuates fine lines and wrinkles. Exfoliation is always recommended despite the current season. It is one of the best ways to curtail the appearance of dark spots and keep your skin tone polished. We have begun to enter into the time of year where our skin produces less oils and becomes more irritable by the environment – rain, wind, and the fluctuating temperature will dull out your skin. Pay attention to when your skin needs reviving. Due to increased sweating, pores often enlarge. Unfortunately for us that means we will be seeing more pores in the fall. Try purifying mud mask to absorb excess oils twice a week until you notice a difference. Don’t forget to exfoliate prior to masking! Transitioning from summer to fall and winter bring on a more cool, and drier air that your skin will be breathing. Changing your moisturizer alone may not be sufficient enough to keep your skin balanced. Incorporate a moisture rich masks with your weekly skin care regime. If you can to go the au naturale route, make your own using ingredients from your kitchen. 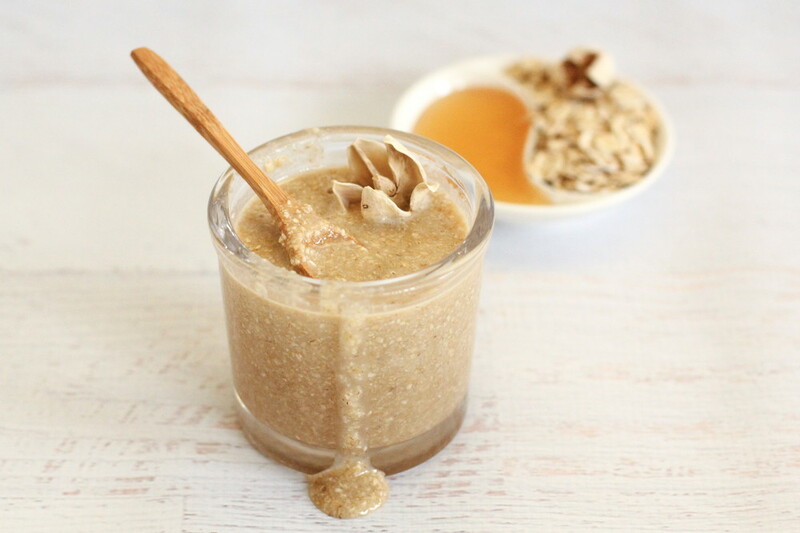 Avocados, bananas, oatmeal, yogurt, honey and work great an at home mask. 7. Continue to Hydrate your skin! Drinking water falls under the hydration category, especially during the dry weather. Although it’s no longer warm, don’t forget to drink glass after glass to continuously replenish our bodies. We still are in need of that extra boost, and serums do just that! Retinoids are a class of compound vitamins extracted from vitamin A, that is frequently used in skincare. Listed in the order of potency: retinoic acid, retinaldehyde, retinol, and retinyl palmitate. The ingredient retinoic acid is the active form of the chemical that can be easily used on skin, however almost always requires a prescription like tretinoin. Effective retinoids tend to be more irritating, so a less potent one doesn’t necessarily mean it’s a bad thing. By using a weaker form, it could be more effective because it won’t irritate the skin as much, and the chances of repetitive use will be higher. Retinoids come in more than one shape or form, the few different types that add to the misconceptions are tretinoin, retinol, and retinyl esters. What makes them slightly different is because of the chemical compounds. They’re all conveniently available over the counter and less potent than tretinoin. 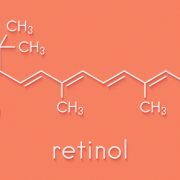 Retinol, (often in everyday products) is a lighter form of retinoid. Seen as a powerful plumping agent on maturing skin, or for those who have been subjected to premature aging by the sun, retinoids are remarkably effective on acne battling skin. Popularly known as an anti-aging ingredient, the benefits vary – considering introducing them into our skincare routine sooner than later. Did you know that skin loses on average 1 percent of collagen per year starting in your mid-twenties? 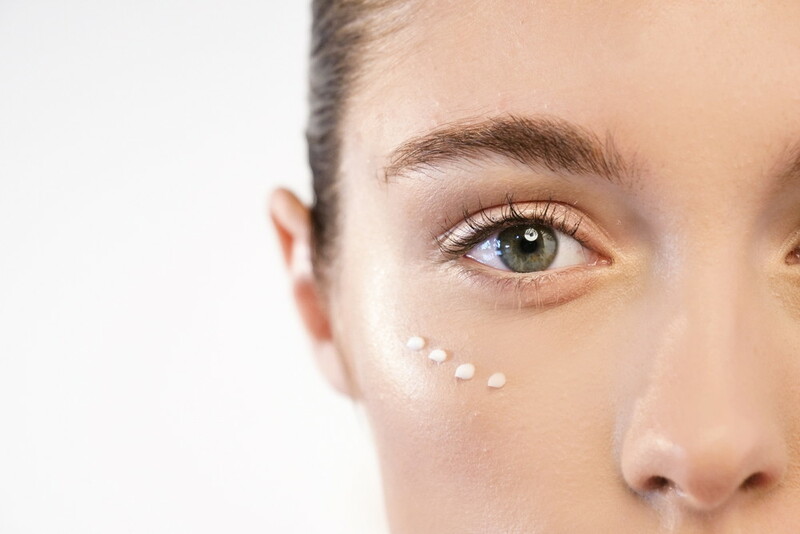 Incorporating retinoids in your late-twenties and on is an appropriate time to add to your routine skincare. Opt for an over the counter product that has at least 0.1 percent retinol and read the entire ingredient list or ask at the counter what the product contains. The amount of retinol may be increased to 0.3 percent or 0.5 percent as your skin builds up the tolerance to it. Common side effects will include stinging, peeling, burning, and irritation upon initial contact with skin. As you begin to build up a tolerance by steadily using it a few times a week, you will get to gauge and see what you can manage – if the product makes your skin sore, chose to give it a rest. If your skin can endure retinol, you can choose to up the number of times you’re using it per week. For sensitive skin type or those that suffer from inflammatory skin conditions such as rosacea, eczema, or psoriasis, consult with a dermatologist before using as the products can possibly cause further skin problems. Prevention isn’t always 100% foolproof, unfortunately, there is no way to stop the sun from emitting harmful UV rays from hurting your skin. With that being said, it’s crucial to utilize the natural remedies and effective treatments to repair your damaged skin. The extraction, massage, exfoliation mask, and steam application during a facial treatment leads to skin revitalization, or in other words – fresh, rejuvenated skin. This improves the appearance of the skin, giving it a healthy, balanced, and robust glow. When life gives you lemons, make lemonade! Or use them as a solution for everything! Lemon juice is a wonderful route for an organic remedy to sun damage on your skin, neck, and chest. The acidity in the lemons known as alpha-hydroxy pushes for cell production and nourishes the skin. A little lemon juice on a cotton ball is just enough to stimulate all natural cell healing, production, and regrowth. Gently swab the damaged areas and leave on the skin until dry for about half an hour. 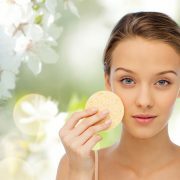 Wash with warm water to hydrate skin before applying moisturizer. Disclaimer, when using lemons to skin back to health, watch out for irritation after initial use. DO NOT leave on further than 30 minutes, doing so can further damage to your already affected skin. It discourages enzyme tyrosinase that plays a role in the formation of melanin that is guilty of producing dark spots. Excess sun exposure increases free radicals that impede collagen production and accelerates aging. Vitamin C is an antioxidant that shields against the damage from ruining your skin. To prevent skin discoloration, reach for products such as lotions and serums that contain vitamin C. Consuming foods with vitamin C such as kale, kiwi, or oranges can help as well. Coconut oil is the holy grail – it has been highly praised for its many uses and we’ll tell you why. It’s loaded with healthy fatty acids and vitamin E. The fatty acids moisturize the skin naturally and the vitamin E works as an organic antioxidant that aids in diminishing inflammation from UVA and UVB rays from the sun. A little goes a long way, so use sparingly. You can store it at room temperature or in the fridge. It works great as a moisturizer on sun damaged skin. You will notice a difference in your overall tone and complexion soon after applying a small amount a few times a day. What is your skin care routine, or better question is, do you have one? Or do you go to bed each night without being concerned with your skin? You don’t put too much thought into your skin care routine, but the reality is, you should. The importance of skin care is not overrated, considering we all know the skin is the largest organ of the body. It works every day to protect and prevent our bodies from harmful elements. Almost frequently, our skin advises us if we are healthy, or suffering from maintaining a healthy lifestyle. In contrast to other crucial body systems, your skin is exposed to the outside environment causing skin problems due to irritants in the air such as automobile exhaust, smoke from chemical factories, pollution, and sun damage due to excessive exposure in daylight. Getting To Know Your Skin? It’s in our nature as a woman to take care, groom, and pamper ourselves to look the best we can. As procedure to best care for our skin, we need to properly classify what type we have. Products are precisely designed to work for different skin types. I.e. using a heavy moisturizing face wash made for dry skin type would break out oily skin. There are three main categories: Normal, oily, and dry. Occasionally you will see “combination” as a type, which is the most common one. Forestalling potential skin problems now is easier than attempting to solve skin problems in the future. Taking time to concern yourself in a daily skin care routine takes less time than having to address it in the future as a consequence due to negligent in the future. When you address and take care of your skin health, you avoid in the future such as, acne scars, deep wrinkles, hyper pigmentation, and other underlying skin issues. A daily skin care routine can prevent unwanted trips to the dermatologist or plastic surgeon. Good skin is a lifelong process, and developing a daily skin care routine beginning today will nourish beautiful skin for the future. The decisions you make today will benefit you in the long run. Having clean and healthy skin can lift your confidence and keep you looking and feeling your best! Your face is the part of you that others see upon first meeting you, so go forth with your best face forward. A daily skin care routine can guide you to this. Adding a skin care routine to your other healthy lifestyle routines can help you develop better habits all around. This can include oral, hair, scalp, and personal hygiene routines. Do them all together so you can look good, and feel amazing! Have you been convinced now to nourish your skin with a daily routine? It’s never too late to develop a skin care routine that is suitable for you and can keep your skin healthy, glowing, and looking great for years to come! The extra step is all the recent craze, we’ll tell you why. Double cleansing is the step used to take prior to cleansing. It comes in an array of forms: cleansing oil, balm, and or micellar water. This follows with an actual cleanser. This extra step sounds tedious, but it’s the best way to remove makeup, oil, dirt, sweat, bacteria, and any grime built up and left after a long day. Your makeup removing routine includes wiping your face with a cotton pad all at the same time. Or more so, you may go directly to cleansing your face. Pay extra attention to your eyes because these both are the wrong way to go about removing your makeup. Eye makeup is harder to remove and needs a gentler approach. Still using bar soap? It’s time to toss the old out and bring in a good cleanser. It’s doing more harm than any good for your skin. Bar soap quickly strips your skin of all water, leading to buildup of dead skin cells. It also does the opposite of what exfoliating intends for. If moisturizer isn’t applied within the first 60 seconds after cleansing, you are too late. Skin becomes easily dehydrated after cleansing, so it’s crucial to moisturize while skin is still damp. Immediate moisturizing will avoid the skin tight feeling after a hot shower or face washing. Skincare products don’t need to be rubbed in harshly. Rubbing products in too hard won’t make it any more effective. It can actually cause unwanted irritation. Product application should be gentle, upward strokes on the face and neck. 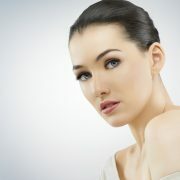 If you can recognize, the skin surrounding your eyes is much more delicate and thinner than the remainder of your skin. Make sure to use a remover specifically for eye makeup. The “less is more” rule applies to applying the product on your skin. Taking care of your skin can be looked forward to at this time, but you may get carried away and use too much of one, or all products. The extent of how much product you use is reliant on your skin type. Applying too much of a product such as a moisturizer can lead to breakouts. All you need is a coin-sized of each product to work its magic. Think skincare stops at your jawline? Wrong, your neck needs attention too! The skin on your neck is just as fragile as the skin surrounding your eyes. It can also age faster than other parts of your skin… so don’t skimp on applying moisturizer to your neck as well as sunscreen and serum. Your skin changes from Winter to Spring, and now it’s time for a new routine. The new season summons a new skincare routine, with spring into full effect, now is the time to prepare your skin for the longer, and warmer months ahead. Fall and Winter are rough seasons on the skin, low temperatures, dry air, indoor heating and snow even. With so many season changes, skin struggles to adjust from one season to another while maintaining healthy skin. On the bright side, there are small changes you can make to prepare your complexion for the sunnier days to come. The first action to take towards glowing skin is to invest in an exfoliator suitable for your skin type. The colder months cause the skin to become dull while developing a season’s worth of buildup on the barrier with dead skin cells, leftover product, and environmental toxins. A gentle scrub will polish the winter skin away unclogging the pores and allowing your products to work to its full potential. The best results are followed by implementing a hydrating mask 2-3 times a week to keep skin moisturized and smooth. Now that the season is warmer, you can skip the scalding hot showers. A lukewarm shower will keep your skin smooth and hydrated. 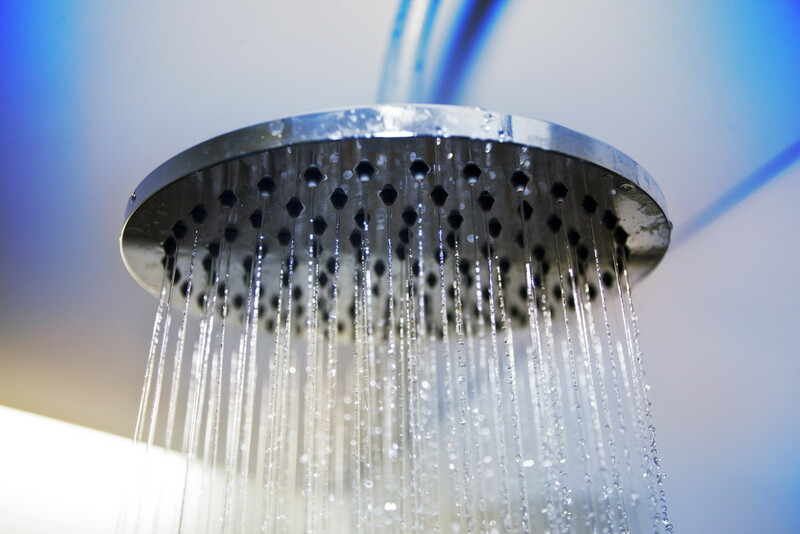 A “too hot” of shower can cause dry patches and leave your skin uncomfortable dehydrated. After emerging from the shower, you have a higher concentration of moisture compared to the air. Water evaporates quickly leaving the skin very dry.. So don’t forget to moisturize your body as soon as you dry off from showering! Months of hibernating beneath layers of clothing, high knee socks, scarves, and sweaters, skipping sunscreen has become the forgotten step in the routine. Little did you know; sun protection is the most crucial step and should be followed religiously all year. Skin tends to retain more water during the warmer months, so you don’t need as much moisture. Unless your skin type is dry, rest the heavy moisturizer and reach for the lighter one! If your skin type is oily, a water-based moisturizer during the warm days would be ideal. The cooling effect against your skin feels great while ensuring your skin stays hydrated. Did you know the skin below eyes are much more delicate than the skin on the remainder of your face? Months of dehydration calls for extra attention to your eyes. Be a minimalist when packing, but when it comes to your products, be extra. Apply serum both day and night before applying sunscreen and makeup for an extra layer of hydration and protection to combat the dry weather. The general recommendation is to get a facial every 3 to four weeks depending on your skin type. To answer your question, that is the amount of time your skin takes to move through a full cycle of skin cell growth and exfoliation. Monthly facials help maintain that gorgeous glow all month long. An optimal skin care routine is imperative for sustaining healthy, fresh and youthful skin. But every once in awhile, we need to leave it to the skincare specialist and spoil your skin with a facial treatment here at Infinite Beauty..
A facial is a multi-step, and multi-purpose treatment that includes steaming of the skin, exfoliation, face masks, deep cleansing, face massage, and an assortment of creams and lotions. Subsequently after being diagnosed with a skin condition, getting a regular facial treatment will not only better, but also help in healing your skin. Commons problems like blemishes, enlarged pores, blackheads, whiteheads, sunspots and damage, acne, inflammation, redness, rosacea, wrinkles, dehydration, loss of moisture, elasticity and firmness can be reduced or completely be treated with the right facial treatment. Facial treatments may aid in slowing down the aging process and hinder the appearance of wrinkles. Massaging your face with an anti-aging cream will immediately increase the blood circulation and oxygen flow, which promotes collagen production and enhances the elasticity of your skin. This leads to a reduction of fine lines and wrinkles and preventing their appearance. Remember: It’s never too early to take loving care of your skin! Massages are great for unwinding, calming stress, and harmonizing your mind. 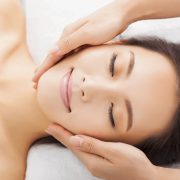 Similar to your body, your facial muscles need a massage to relax and most facial treatments include one. The circulation will stimulate and boost the lymphatic vessels and detoxify your skin, leaving you with healthy and youthful looking complexion. The extraction, massage, exfoliation mask, and steam application during a facial treatment leads to skin revitalization, or in other words – fresh, rejuvenated skin. This improves the appearance of the skin, giving it a healthy, balanced, and robust glow. The results may not appear immediately, however, overtime the skin will be restored! Be mindful that routine and regular facials is the key! A skilled esthetician will evaluate your skin condition and help you select the best facial treatment suited for your skin. You can learn useful tips by discussing your daily routine skin care routine and get suggestions on which products work best for your skin. These tips are powerful because you can use these tips as preventative precautions to aging, and maintain your healthy skin. Lastly, but not least, pampering yourself with a day at the spa or a small trip to the beauty salon will lift your mood and make you feel beautiful and confident. Spending time treating yourself in a relaxing environment will surely boost your spirit and clear your mind. So infinitely, take time off once a month to pamper yourself, you deserve it! At Infinite Beauty, we offer a wide array of facial treatments according to your skin type and issue: Vitamin C Infusion, Microdermabrasion Detox Treatment, Advanced Oxygen, 24k Gold Facial, and Collagen. Let us help and determine the best treatment to address your concerns. It’s as if all skin concerns have a solution nowadays. Looking to minimize the appearance of fine lines? Try retinol. Want a moisturizer that will keep your skin glowing and supple? Reach for something containing hyaluronic acid. Need to fade dark spots and renew skin? 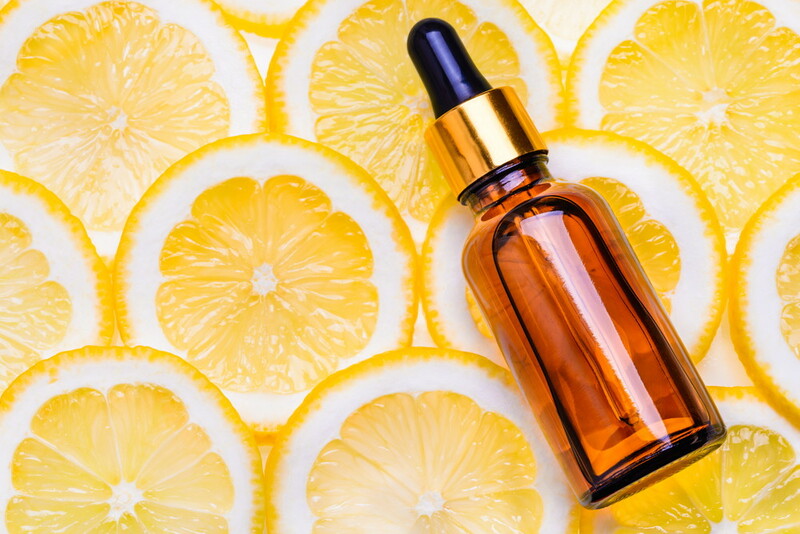 Look for vitamin C.
So many active ingredients, yet determining when and how to use these products can be a struggle particularly when you’re trying to find a routine that fits your skin type. Vitamin C and sunscreen are pair up well. Make sure to apply serum before sunscreen in the morning, and retinol cream in the evening. Products that contain Vitamin C act as an antioxidant that can help fight skin damage caused by sun exposure and other environmental pollutants. Vitamin C is known for agents that brighten dark spots, collaging building to reduce fine lines, and overall appearance of skin. Retinol and retinoids can improve brown spots and fine lines over time, but however can typically make skin more sensitive to light exposure. It’s best to steer clear from mixing both ingredients and choose to use vitamin C serum in the morning and retinol cream before bed. That way both ingredients can work to their full potential without clashing. Alpha and beta hydroxy acids are commonly used in exfoliating products. It acts as a buffing agent removing the top layer of skin to improve discoloration over time. Retinols treat acne and aid in diminishing sun spots, fine lines, and wrinkles. Using both at the same time can disrupt your pH level causing excessively dry, red and irritated skin. To avoid irritated skin, it is suggested to use them at various times of the day or even better, different days of the week. Retinol and Benzoyl used together are ineffective because both ingredients cancel each other out being incompatible. Any irritating products that contain acid should not be used with retinol such as a recent chemical peel or laser treatments. It’s not recommended to use Benzoyl and vitamin C products together because they can offset each other’s effects, i.e. benzoyl peroxide can oxides the vitamin C.
Both hydroxy acid and vitamin C products can potentially work together since they both can perform in acidic environments. Being they are both made of acidic formulas, the combination of both can irritate the skin more. Vitamin C and salicylic acid can work together for oily skin type, but it’s recommended to wait a few minutes in between applications. Lastly the most important skincare product for all skin types is hands down sunscreen. 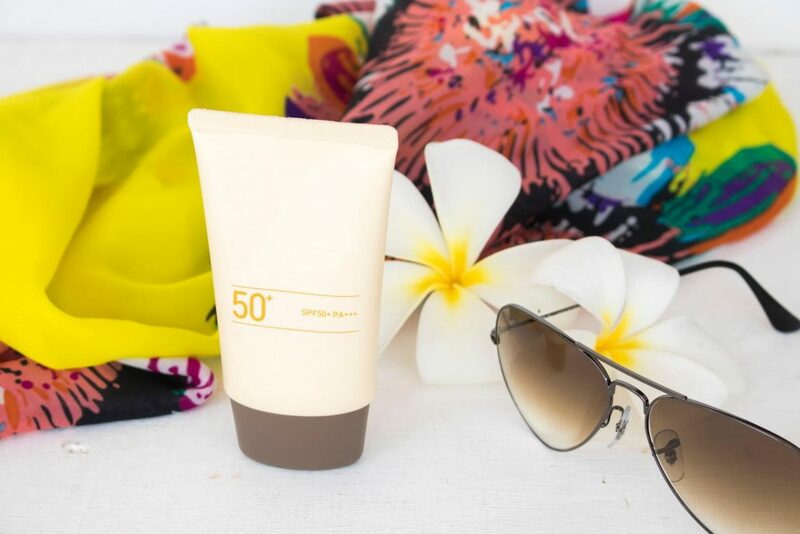 SPF of 30 or greater is optimal, and remember to allow time to dry in between moisturizer. 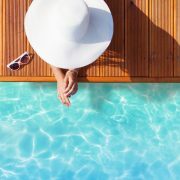 Sun protection is key: if you aren’t wearing sunscreen, oils, retinols and vitamin C won’t work to its full advantage.